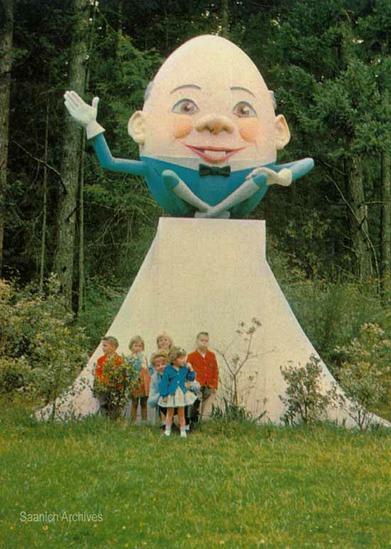 Description on reverse of postcard: "Perched upon his pedestal, this giant Humpty Dumpty welcomes visitors to Victoria's unique Storyland Park. Over 70 other fabulous Storybook characters have transformed the beautiful woods of Beaver Lake Park into an enchanting land of fairytale fantasy. A favourite family attraction."